Monday Quick Tip: Do it Well! This past weekend, I got to attend my first Renaissance Festival (http://renaissancefest.com/). There were jousting demonstrations, comedy and danger shows and lots of opportunities for shopping. One of the highlights for me was watching a glassblowing demonstration. The glassblower formed a beautiful tumbler using a few simple elements: air, heat, a metal pipe, water, and molten glass. What was not simple was the amount of skill he used to accomplish his art. He made it look easy, but it took him countless hours to perfect his craft. 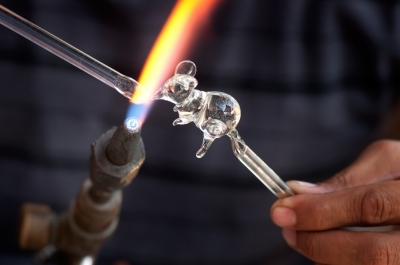 He mentioned during the demonstration that he started glassblowing in 1968. He was poetry in motion as he combined the right amount of air, timing and centrifugal force to create his masterpiece. He explained that the incorrect temperature or the wrong timing could shatter the glass. Developing our craft as leaders takes time. There is an art to leadership that can’t be acquired in a book. It is learned through years of well-focused practice. Leadership as art is not accomplished by the quick fix. This week, focus on doing leadership well by getting better at just one thing. What is the one thing that you could get better at this week with a little focused practice? A lot has been made about the 10,000 hour rule. That is overwhelming. Masterpieces are formed an hour at a time here and there. We can do that. Do it well. It’s worth it. Do it with excellence, because “good enough” only leads to shattered glass. What will you get better at doing this week? I’d love to hear your thoughts. This entry was posted in Creativity, Growth, Leadership, Monday Quick Tip and tagged Art, creativity, Glassblowing, Growth, Leadership, Monday Quick Tip, Practice.